The life of the writer’s writer is not generally to be envied. Talented, original, admired by their more successful brethren and ignored by the public, they toil in obscurity, die unnoticed and, if they’re lucky, get revived and stay in print. Herman Melville is perhaps the most famous beneficiary of this treatment, which has also aided writers such as Nathanael West and Henry Green. Felisberto Hernández (1902-1964) hasn’t been so lucky. He had a huge influence on Gabriel García Márquez and was admired by Julio Cortázar and Italo Calvino—but it didn’t do him much good. 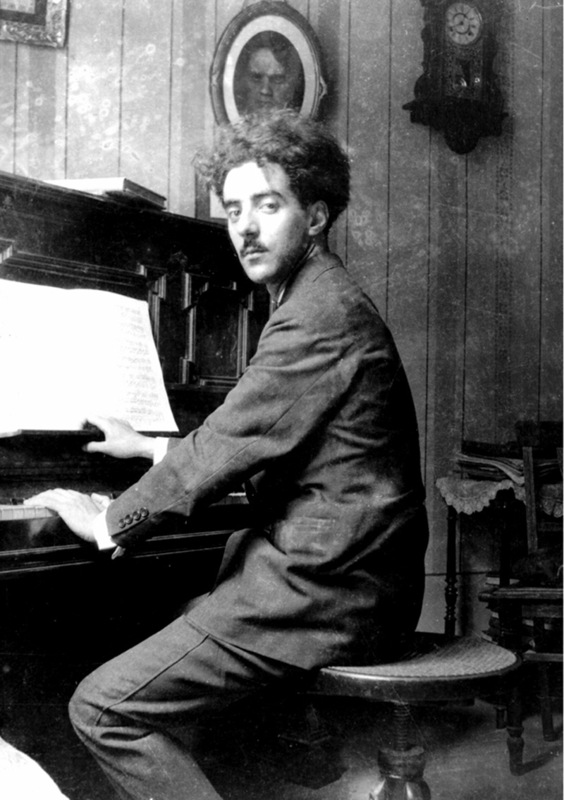 Hernández was born in Uruguay and made his living at the piano, playing a variety of movie theaters and concert halls. He married four times; perhaps his wives became tired of having to support him. The same lucklessness hounded his literary career. In 1947, he scored his sole commercial publication: No One Had Lit a Lamp. It didn’t sell. It wasn’t until 1983 that a three-volume collected works appeared in Mexico, and it was 1993 before he made it to English translation, courtesy of author Luis Harss. The public still wasn’t interested and Piano Stories drifted out of print. 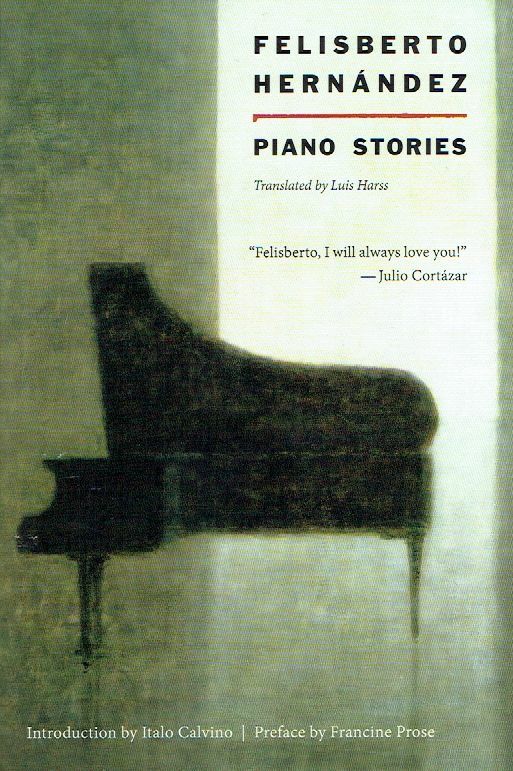 However, New Directions has been doing its bit to bring Hernández back, first with Lands of Memory in 2008, and now with a reissue of Piano Stories. The poor man is finally gaining ground! His life story, being so sad, does threaten the critic’s role in this review. After all, who wants to rain on a man’s posthumous parade? Not me, though my reaction to these fantastical tales has been decidedly ambivalent. The stories tend to be the first-person narratives of nameless, interchangeable men (often piano players), generally obsessed both with the tactile nature of objects and the houses of strangers (preferably rich ones). They feel like personal aspects of Felisberto Hernández, writing purely for his own pleasure. In the short essay “How Not to Explain My Stories,” he stated “My stories have no logical structures. Even the consciousness undeviatingly watching over them is unknown to me.” His tableau is in some ways Gothic, with mysterious women, decaying houses, and isolated, ritualized atmospheres, but the stories have none of the heavy-handed emotions of the Gothic, being closer in tone to the Decadent movement. I looked at the chair – and for some reason I thought my friend’s illness was seated on it. The new introduction is by Francine Prose, who writes that reading Hernández is “less like hearing about a dream than like actually having one.” That’s not how Piano Stories struck me. Carlos Fuentes, in his horror stories such as Aura and ‘The Doll Queen’ perfectly captured the irrational, yet watertight logic of a dream. The atmosphere of Piano Stories is one of the sickbed’s languor. The human characters behave as invalids, adrift in the sea of their overwrought sensations, creating memorable situations for themselves out of nothing. More importantly, the sensual overthinking that the author engages in is rarely tedious. Only ‘The Stray Horse’ overstays its welcome. The first half recollects a boy’s early piano lessons; the second half recollects his recollections in a borderline-unreadable circular narrative that is the definition of eye-glazing. The other long story in the collection, ‘The Daisy Dolls,’ is the bar-none masterpiece of the set and the biggest reason Felisberto Hernández should be in your Latin American literary collection (if you have one). Wholly Gothic and perverse, it centers on a married couple and the husband’s collection of life-size dolls, one of whom was made to look just like his wife … The tension ramps up with jealousy, morbidity, practical jokes and unhealthy excitements. Great squirm-inducing stuff that really got to me. Relatively few of the other stories have emotional impact. Most of the mysterious scenarios held my interest, but few gained a stronger reaction. It doesn’t surprise me that Márquez—whom I’ve never found emotionally involving—took inspiration from them. They often depend on their concepts for memorability—for example, an usher who can see in the dark and a widow who boats around her flooded house. Other than ‘The Daisy Dolls,’ the standouts are ‘The Woman Who Looked Like Me,’ a vengeful, hallucinogenic riff on Black Beauty; the advertising satire ‘Lovebird Furniture;’ and ‘No One Had Lit a Lamp,’ wherein a young man reads to a parlour assembly and mingles with the guests in a manner that somehow manages to fascinate despite absolutely nothing happening. Piano Stories rarely spoke to me in a meaningful way, but it was a fascinating, imaginative work, and I won’t soon forget it. I give it a high recommendation to fans of magical realism, especially those interested in the genre’s forerunners. If you’re a collector of the offbeat, Hernández will satisfy. In the internet age, the forgotten writers have their best chance of making a return, and he deserves the notice.